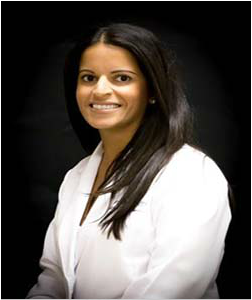 Reena Sachdev is a Board-Certified Dermatologist and Dermatopathologist who specializes in medical dermatology. She is a graduate of Michigan State University Medical School. After earning her MD she completed her internship at St. Joseph Mercy Hospital in Ann Arbor, Michigan and completed her residency in Dermatology at Albert Einstein College of Medicine in Bronx, New York in 2010. Dr. Sachdev subsequently completed a fellowship in Dermatopathology at Stanford University in Palo Alto, California. After her fellowship in Dermatopathology, Dr. Sachdev was practicing at Clin-Path Associates in Tempe, Arizona and at Kaiser Permanente in Orange County, California. Dr. Sachdev’s practices specialize in Clinical Dermatology and Dermatopathology for patients of all ages. Her areas of expertise include acne, warts, psoriasis, eczema, moles, skin cancer, infectious disease and other complex skin conditions. Dr. Sachdev also provides cosmetic services including Botox, laser and skin tag removal.